I was wandering through the mall today shopping for dresses to wear in my engagement photos and decided to stop in Sephora to see what was new. Their mascara display caught my eye, because I’ve been unimpressed with my current L’Oreal Telescopic mascara. Was so excited to see that blinc had come out with a new version of their notorious waterproof mascara, blinc mascara AMPLIFIED. 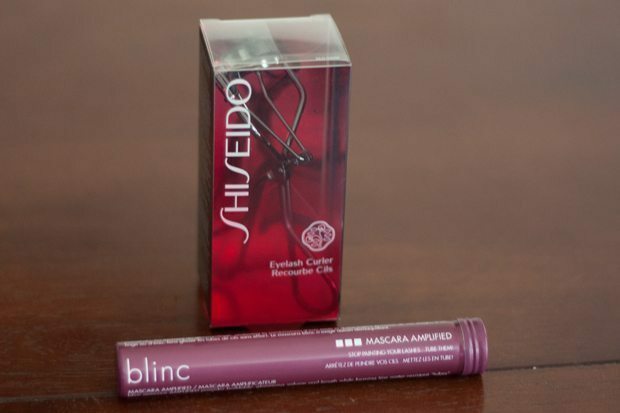 I quickly snatched up a tube along with a Shiseido eyelash curler (my favorite– works the best with my Asian eye shape). My eyelashes are basically non-existent. It’s pretty tough for any mascara to make a significant difference on me. Usually, I have to resort to using false eyelashes, which can be a pain for every day, so I tend to save them for special occasions. But I always secretly hope to find a mascara that will replace the need for false eyelashes to make my eyes look more open and well-defined. blinc, formerly known as kiss me, is the cosmetic company that makes my absolute favorite liquid eyeliner ever. I’ll have to write a separate review someday, because I could rave about that for days. I’ve used their original mascara formula before, but had some issues with it. 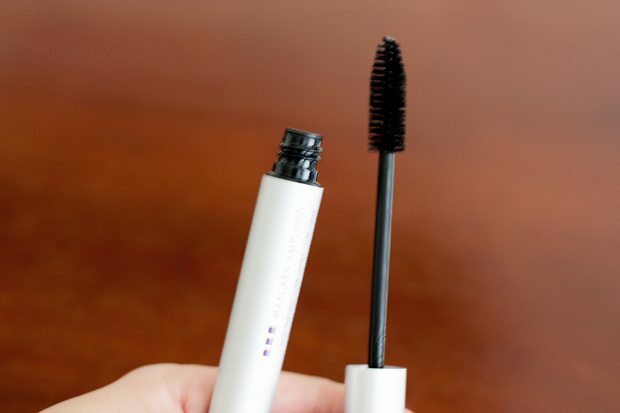 It is a wet formula that only allows one coat of mascara. Then you have to wait for it to set. If clumps happen to form after that one and only coat, you’re pretty much stuck with them. That being said, the amazing thing about blinc mascara is its tubing feature. The mascara creates water resistant tubes around eyelashes so it is virtually smudgeproof and waterproof. But it’s very simple to remove the mascara with lots of warm water paired with gentle pressure. The mascara AMPLIFIED wand is larger (almost fluffy-looking) than the original one. It was very easy to coat all my lashes thoroughly. I started off by curling my lashes with the Shiseido eyelash curler (the one I’ve found to work best with my Asian eye shape) and applied two coats of the mascara without any clumps or flaking. I could tell a huge difference from the original– the mascara AMPLIFIED does not have the sticky, wet feeling of the original. I loved how easily it glided on and how apparent the results were. It holds curl so well! The results alone would warrant a 5 star rating from me, but blinc mascara AMPLIFIED goes a step further with it’s tube technology. 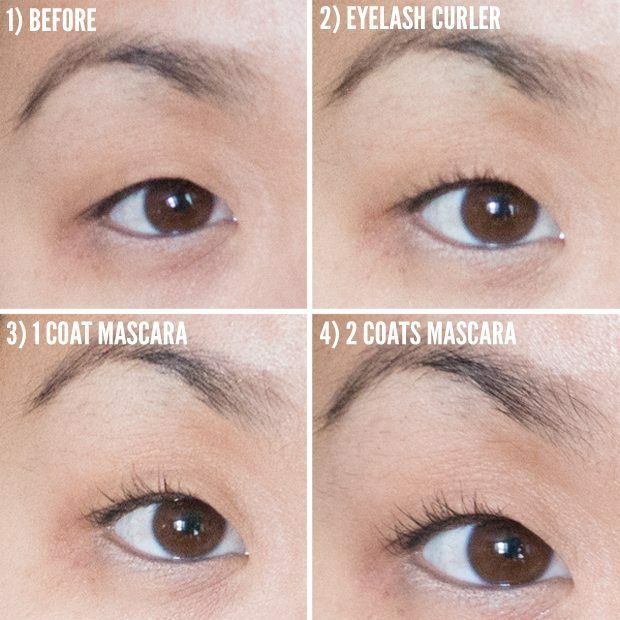 Even after rubbing my eyes (which I do regularly thanks to my terrible allergies), the mascara stays put without smudging! I’m so incredibly impressed by this mascara. I’d almost given up hope on ever being able to have visible lashes without using falsies. My dreams have finally come true!! Have you used blinc products before? Let me know what you think of them in the comments! Oh nice– I’ll have to check out beautysak for my next purchase! Ooh, I will have to check out beautysak for my next purchase! I pay a visit every day a few websites and information sites to read articles, but this blog gives quapity based content.